Whether their dream is the Olympics or even the circus, kids can soar through the air like a trapeze artist when they have this accessory added to their PlayStar play set. 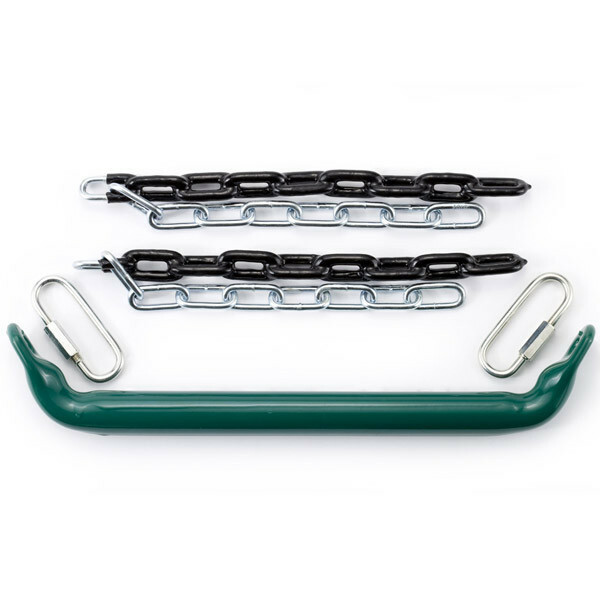 The Commercial Grade Trapeze Bar is constructed of rugged steel and has a pliable rubber coating for ease of grip. It is the highest quality trapeze bar available with a unique "U" design. 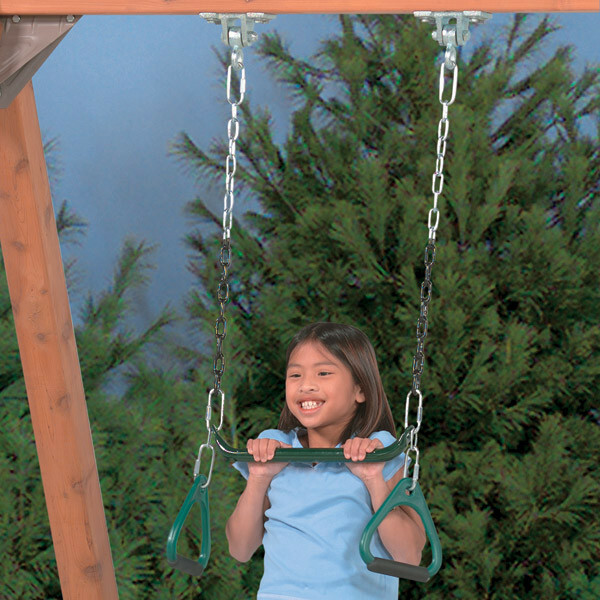 Built with safety in mind, his design keeps the bar from turning or rotating while kids are playing. 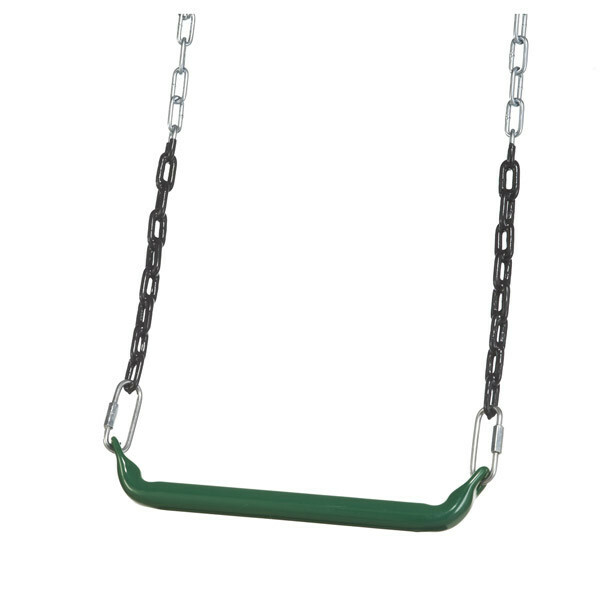 As an extra added bonus you can easily attach the Trapeze Bar to a set of gym rings for a great swinging combo. Gym rings are sold separately.